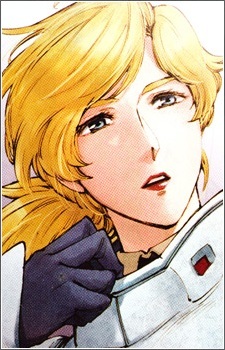 This talented woman served as both the director of Neo Zeon's Newtype Labs and as Char's chief operation officer, responsible for planning strategies for the Neo Zeon fleet. Char clearly thinks highly of Nanai's abilities, entrusting her with the all-important assault on the Earth Federation's Luna II base. However, in the eyes of most, their romantic relationship was largely for show but although Char's exact feelings for her remain unknown, Nanai has been shown to be genuinely in love with him.